SLUG Localized is back home at the Urban Lounge, BUT we gave up our second Friday slot so that two of our favorite bands The Warlocks and The Black Angels could rock this town. Take note and mark those calendars, though. Localized will transpire the very next evening—the second Saturday of the month, June 14 so write it down somewhere where you won’t forget and (as always) is just five bucks at the door. June features two bands with a collective resume long enough to fill a whole page, and two completely different styles: Minerva takes it back to the basics, and Invaders throw the basics completely out the window and assault your ear drums. Danny Vesper opens the showcase. 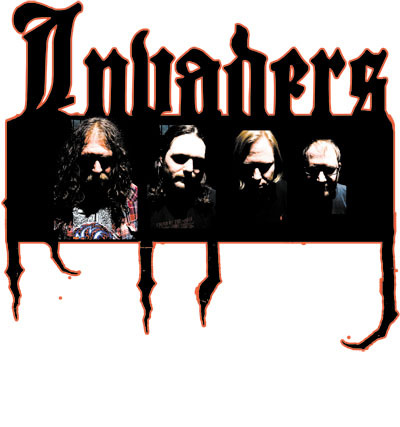 Invaders is a band that, by all rights, should never have existed, and exists due to sheer luck, or as some of their members might put it, fate. “If I believed in God, I’d call it a blessing,” says White. With all members having known each other for a collective of more than 10 years, none of them ever expected they’d be together in a band, playing the music they’ve been wanting to play for years. But somehow their paths all crossed at just the right moment, and Invaders was born. The result was Spur, a short-lived three-piece band that ended when the group was left without a bass. Afterwards, both Moss and Hoffman knew they wanted to take the group in a different, somewhat heavier direction. With Spur sharing practice space with Minerva, Moss and Hoffman invited McClaugherty to give them a listen. At the time White was doing his own project, a group called God’s Iron Tooth, “which should have been a much bigger band than it ever was,” McClaugherty adds. Between White working with his band and McClaughtery playing in a similar project, Hammergun, the best the two could do was to agree that if there was ever a chance for them to play together, they would take it. 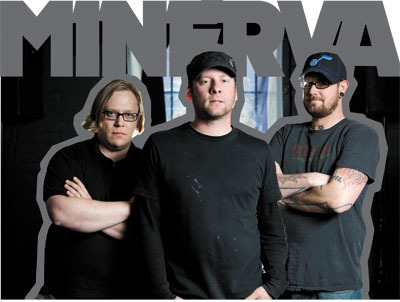 Come check out Minerva and Invaders along with Danny Vesper on Saturday, June 14 at Urban Lounge.